I’m in a bright colors kick right now, so this really caught my eye! 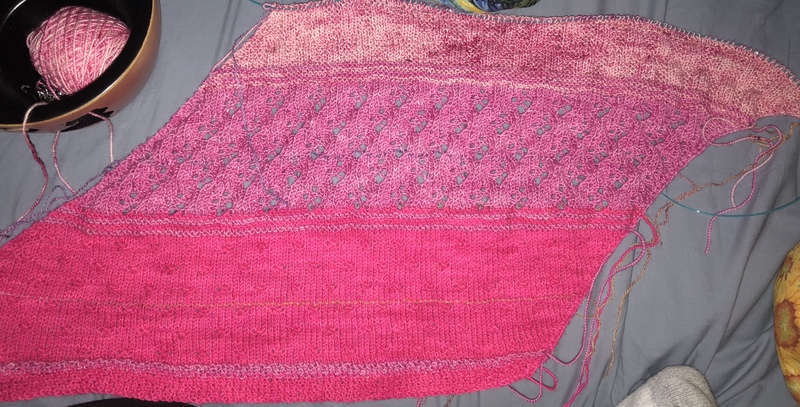 I started with the bright pink and I’m going clockwise, so I’ll end with the blue. 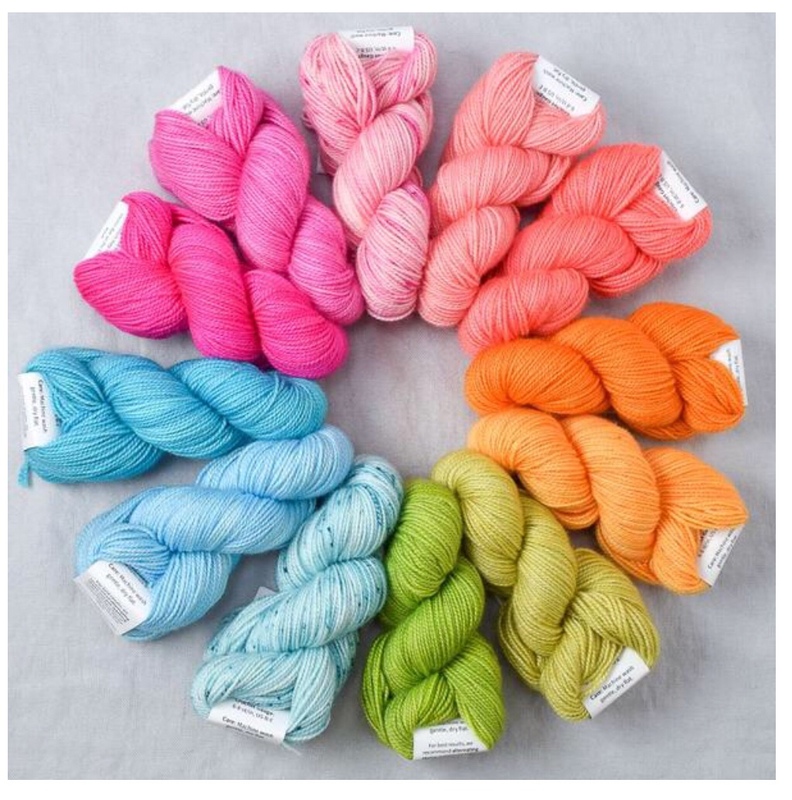 The MKAL is on Ravelry if you want to join in on the fun!